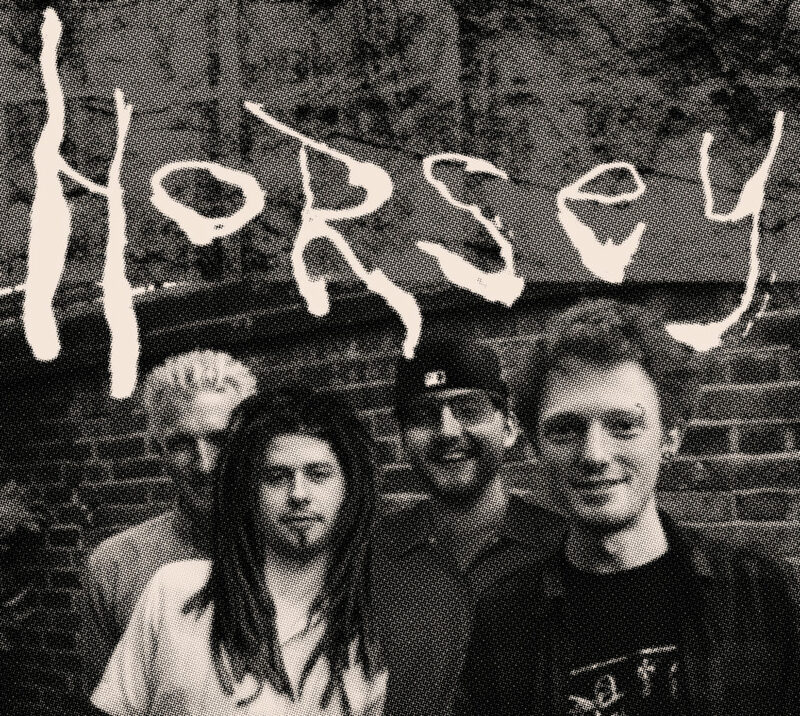 South-East London quartet Horsey are something of an anomaly, to say the least. A band consisting of old friends cultivating fresh sounds, their tantalisingly sinister offerings to date have ranged from tongue-in-cheek lounge croons to rock histrionics – always uniformly falling on the good side of ridiculous. Revelling in the musically uncommon, gleefully macabre absurdist lyrics are delivered with a knowing grin and traded shout-sing dual vocals, whilst clanging cymbals and complex riffs abound.